I met a guy online which he said he is with the same country as mine. He has local mobile number but he preferred to message me on viber. We have been communicating for almost a month now. He said he is a engineer working in an oil rig. Last week, he said he wanted my help to send her daughter a money via MoneyGram as he can't go out on the rig. He also push me to create a new account on the bank which he preferred which I didn't really do. Instead, I asked my friend if I can use her account (she said yes, I told her my reason). Then, the guy said he put the money ($3,000) on that account which I cannot confirm as my friend is not replying on my messages. He also did sent a screenshot that he transferred the money. The guy wants me to send the $2000 to Canada then keep the remaining amount for myself. The odd thing is the receivers name is Nigerian. I still haven't confirmed if the money is already in my friends account. But I have a feeling that he was just trying to scam me. He is also calling me a local phone number here when he said he transfer the money (+64 07 808 0979) (+64210482287) I heard his voice but his voice is a bit odd (his voice has some echoes). Seems he is using some voice modulator. He even told me that he will let the police come in my house if i still didn't send it yesterday. Last night, my friend already called me and she said the $3000 was in her account but she can't use her account (it's been flagged as fraudulent activity). She has done some series of security test on her online banking and tomorrow she will be visiting the bank to present her valid IDs. I am still very anxious on what will happen next. Here is the link of his image. Please post his emails/messages and email address along with fake name. It is 100% a scam. You involved your friend in a crime. The scammer stole that $3000.00 from another victim of his. He wants you to launder the stolen money and send it to him. Your friend may have realized what has happened. You should stop all contact with the scammer. Have your friend contact her banks fraud dept before the police contacts her/him. Last night, my friend already called me and she said the $3000 was in her account but she can't use her account (it's been flagged as fraudulent activity). Do not withdraw that money. She didn't withdraw the money. She needs to have copies of your scam messages. Don't even attempt to withdraw the money. Just meet the the fraud dept. Yes, she has been report for a crime. 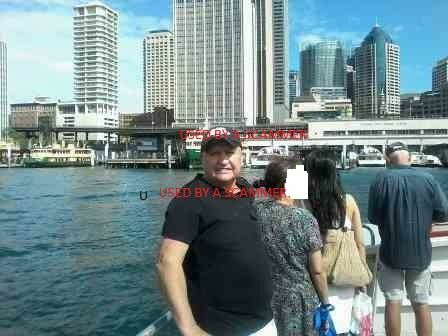 Images/photo's used by this scammer. These photo's are stolen. Christopher Luke Ryan is a scammer ! He will even send you videos on helicopter, be careful the voice sound doesn’t match with the video !!! To know if it’s is a real project website, try to copy paste the text on the services or products description on google and search ! You will realize that the website is just a peace of plagia !!! Never send money never never ! Re: Oil Rig Engineer (Scammer) Christopher Luke Ryan ! He will even send you videos on helicopter, be careful the voice sound doesn’t match with the video !!! He is very smart, and always will tell you exactly what you want to hear. The story: oil engineer on the rig, no video calls, fall crazy in love with you in two weeks, wants a mother to her daughter whom losts her mom and little brother in a car accident .... You can't communicate with her because her telephone isn't working ).What a coincidence, a? She lives with Dannie, the great love of his late mom, died with a cancer !!! Dannie will be in hospital ( so maybe will ask for medical fees money). And he is stuck on the rig because he has a problem with a chemical transport and will ask for money, so he can pay and get out of there and be with you! a big lie!! https://chrixpamenergy.com/ - To know if it’s is a real project website, try to copy paste the text on the services or products description on google and search ! You will realize that the website is just a peace of plagia !!! Never send money never never ! This guy is a lier, will tell you he wants a life together with you, so you can feel obligated to help him! In November, I was contacted on a dating site by a guy who claimed his boss saw my photo and was interested in me. So over the next few weeks we emailed each other. He too was on a rig and had bad WiFi, no video chats, etc. The photo he sent me of himself is gorgeous and it took him a few days to send more. We now text by phone but there’s a huge red flag now as I saw a meme on Facebook and recognized his picture, who he says is his twin brother. He’s got a wicked Swedish/South African accent. His phone VM is the same voice and he showed me bank info that matches his name and number with a UK address. The reason I post is that everything he replies if it’s a love declaration is online from books snd then this scam Warner’s page came up. Can you look up his ingl if I give it to you? Will you please help me? 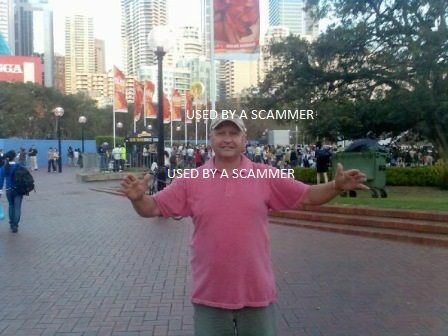 He is almost certainly a scammer. The accent is probably pure South African rather than mixed with Swedish as he is based in South Africa and the fact that you ended up here after searching his love declaration means that it is a recycled script or stolen poem. Please post his name, email address and the photos that he uses. Plus any websites and telephone numbers he has given you.